The Boulders Beach Penguin Colony surely is one of the greatest wheelchair-accessible must-sees when in Cape Town! 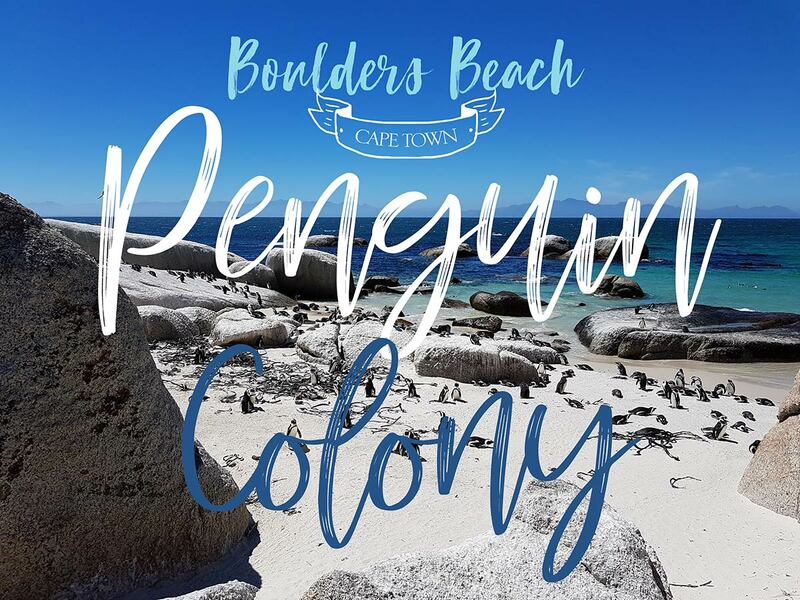 In this post, you find all the details about the cute African Penguins and the accessibility of the Boulders Beach Penguin Colony in Simon’s Town. Boulders Beach is located near Simon’s Town, about 45 km south of Cape Town. The African Penguin (Spheniscus demersus) is an endangered species. Therefore it is very well protected in South Africa. Boulders Beach is part of the Table Mountain National Park. As you might have already read in my accessibility overview, the Boulders Beach Penguin experience is very wheelchair-friendly. Wheelchair users can explore the Penguin Colony viewing area with ease. Fully-accessible wooden paths get you close to the penguins. The swimming area, however, isn’t wheelchair accessible. Most importantly, there is also a huge wheelchair restroom with handlebars and an adult changing table. In general, you have to pay an entrance fee of R152 per adult (as of 2018/19). We still have no clue why, but we didn’t have to pay anything. Normally, there is no discount for disabled visitors. You can reach Simon’s Town by car in a fifty-minute drive, starting from Cape Town. There is a parking area with wheelchair parking lots on Seaforth Road. Just ask the guard and he’ll show you where to park. From there, it is only a short walk to the entrance of the Penguin Colony viewing area. My Travel Tip: Come in the morning and don’t forget your sun protection. The South African sun is very strong – way stronger than the European sun! You’ll probably be hungry after visiting the cute penguins, so maybe you’d like to try the wheelchair accessible Seaforth restaurant with its beautiful terrace and great food which is located next to the parking! Have you already been to Simon’s Town? Tell me about your experiences in the comment section below or reach out by mail. pour nous humains quand tout va bien, profitons ! Pas comme les chiens qui n’ont pas la possibilité d’ouvrir le frigo: dépendant de leur maître. La mer est là pour se ravitailler et le soleil pour avoir bien chaud ! Et puis , ils sont beaux les pingouins, pas dans la diversité de leur apparence: un peu dommage! L’humain est plus fantaisiste en matière d’apparence: un plus ou un moins ?